Bank account promotions aren’t the only way to get your hands on free money. If you have a relatively simple tax situation – for example, if you work for a single employer and don’t qualify for many itemized deductions – you can take advantage of more than a dozen free online tax preparation software programs for your federal tax return. That’s great news if you don’t want to eat into your federal refund or fork over your credit card number before sending your tax return off to the IRS (though there are solid arguments to be made for paying taxes with a credit card). Several services also offer free state tax returns, raising the possibility of a completely fee-free tax season. With the exception of some members of the Free File Alliance – an IRS-sponsored consortium of online tax preparation companies that don’t always provide free returns in every state – these services are available to residents of all 50 states, the District of Columbia, and U.S. nationals serving abroad. If your adjusted gross income (AGI) was less than $66,000 last year and you have a relatively straightforward tax situation, you may be eligible to file your taxes for free through the IRS’s Free File Alliance. The Free File Alliance is a listing service offering direct access to about a dozen free filing services from a consortium of participating tax preparation companies, all of which have to meet strict quality and security standards set by the IRS. 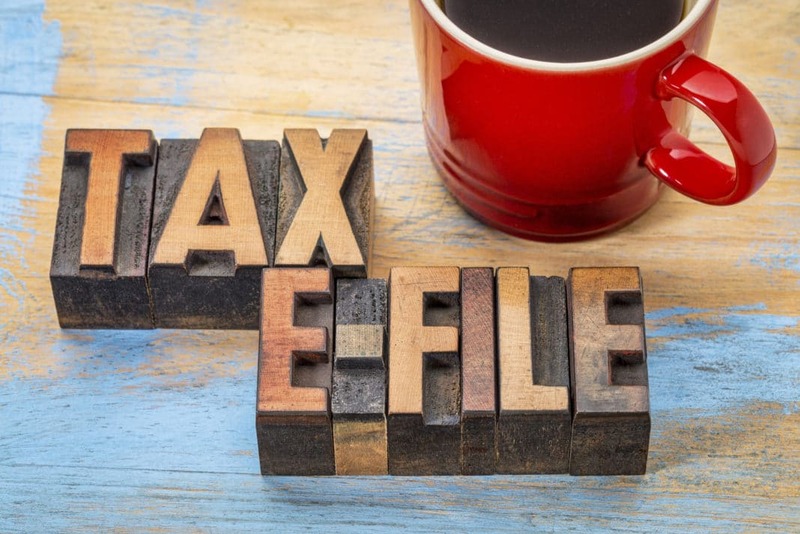 According to the Free File Alliance, roughly 70% of the U.S. taxpaying population is eligible for free filing, and more than 49 million returns have been filed since the Alliance’s inception in the early 2000s. Use the Free File Alliance Lookup Tool to find options that apply to your specific tax situation. Who Participates in the Free File Alliance? Accessing Free File Platforms. To qualify for a free return with any of the participating companies, you need to access their filing platform through the Free File website. It’s like an affiliate promotion – you don’t get the deal unless you click the affiliate link on the partner site. Age Limits. Free File Alliance eligibility skews younger. Not all platforms impose age limits, but those that do tend to cap participation somewhere between age 50 and 70. Income Limits. Some Free File Alliance members impose stricter upper income thresholds, below the $66,000 cap. For instance, the 1040.com Free File Edition is restricted to filers who earned $60,000 or less in taxable income during the filing year. Citizenship Status. Some free filing options are limited only to U.S. citizens and/or permanent residents. If you’re in the United States on a work visa or other temporary arrangement, check with your preferred tax prep option to determine whether you’re eligible. Tax Situation Complexity. Some Free File Alliance companies only offer free filing to people with simple tax situations. If you’re an independent contractor, business owner, investor, or have a complicated situation for other reasons, you may still need to pay a filing fee. Therefore, it’s important to evaluate your options carefully and choose from those that offer free preparation for people who need to file Schedules C, D, E, or other forms common to complex tax situations. Filer Location. Some Free File Alliance companies decline to serve filers in certain states. For instance, Free1040TaxReturn.com is off-limits to residents of Florida, Nevada, Tennessee, Texas, and Washington State. Before you sign up for a service, make sure it’s available in your area. Platform Functionality. Functionality may vary from program to program. For instance, some limit whether you can import prior-year returns and forms into your current-year tax return. Others have limited customer support resources. It’s best to read the fine print on each service’s features before making a choice. The IRS also maintains links with about two dozen state-level Free File programs (indicated in deep blue on the map below), which also leverage relationships with name-brand tax filing services that meet states’ security and quality criteria. As with the federal Free File program, filer eligibility requirements may vary by company and state. TaxSlayer‘s free file option plan has no residency or citizenship restrictions. Federal filing is free for filers under age 50 who earn less than the $66,000 AGI cap. State returns are available for $29 apiece. TaxSlayer’s Free File Federal has some key downsides, however. Once built to support tax situations across the complexity spectrum, the Simply Free plan is now for the simplest situations only – those appropriate for Form 1040EZ. Plus, you can’t take advantage of TaxSlayer’s audit assistance services or use the website’s live chat feature. And though phone support is available from TaxSlayer’s nonprofessional customer service team, TaxSlayer pushes higher-paying clients – those using the Premium and Self-Employed editions – to the front of the line when they call. So if you call at a busy time, plan to get comfortable. See our full TaxSlayer Review for a complete analysis. eSmart Tax is an online subsidiary of Liberty Tax, one of North America’s largest tax preparation franchisors. (Liberty Tax Online, another Liberty Tax subsidiary, is similar but distinct.) If your AGI is $66,000 or less and you’re 53 or younger, you qualify for 100% free federal filing with its free federal filing plan. Active duty military filers qualify for free federal filing, regardless of age. eSmart Tax’s free plan comes with many of the features available to paying eSmart customers and those who use Liberty’s in-person filing services, including audit preparation support, live access to tax professionals during business hours, W-2 and prior-year return importing, and access to prior-year tax returns for up to five years. You can import your prior year’s tax return from ten other prep services, including TurboTax and H&R Block. eSmart Tax’s free plan is ideal for people with simple tax situations, including filers who qualify for the Earned Income Tax Credit and health insurance subsidies under the Affordable Care Act. On the other hand, its support for more complicated cases is limited or nonexistent. If you need to itemize your deductions, pay self-employment tax, or report capital gains or losses, you must upgrade to a paid plan. If you need to file your state taxes, eSmart charges $19.95 per state (with a few exceptions) under the Free plan. That’s roughly on par with competitors that don’t include state returns for free. However, you can’t pay your filing fees with your refund – a substantial shortcoming. See our full eSmart Tax Review for a complete analysis. H&R Block is one of the United States’ best-known tax preparation firms. It has thousands of storefront tax prep outlets scattered about the United States, along with a powerful, user-friendly online tax prep option for at-home filers. If your gross AGI was $66,000 or less in the most recent tax year, you were 51 or younger as of the end of the most recent tax year, or you qualify for the Earned Income Tax Credit, you’re eligible for its free federal filing program. H&R Block’s free filing plan is ideal for people with simple tax situations, including those who qualify for subsidies under the Affordable Care Act. However, it’s not set up to support filers with capital gains or losses, self-employment income, interest and ordinary dividend income, and rental property income. It also doesn’t allow you to store or access past-year returns – you need to upgrade to a paid plan for that. There’s a stiff fee to pay your filing fees with your refund using H&R Block’s Refund Transfer service, too: $39.99. On the other hand, H&R Block’s free edition has some nice perks. For starters, it’s available to residents of all 50 states and comes with no other restrictions. All filers automatically qualify for free, in-person audit support, which includes hands-on advice and assistance with audit preparation. And, if you ever get badly stuck, you can always walk into an H&R Block office near you, though you may have to pay extra for in-person assistance. See our full H&R Block Review for a complete analysis. TaxAct’s free version was once quite expansive, appropriate for virtually any tax situation. That’s no longer the case. Still, there’s no fee to file your state return, so it’s truly a nothing-out-of-pocket deal, though paying your federal filing fees with your refund will set you back about $20. See our full TaxAct Review for a complete analysis. The Federal Free Filing option from TurboTax is ideal for simple tax situations. It includes most of the features and functionality of TurboTax’s paid options, including a best/fastest refund guarantee, support via live chat, W-2 importing, and your choice of e-filing or print-and-mail filing. And it lets you file your first state return for free – a $36.99 value. TurboTax’s tax prep interface is incredibly intuitive, with simple, straightforward questions that guide you through every step of the filing process, reducing the likelihood of a preventable error. It’s available to residents of all 50 states, too. TurboTax’s free file option does have some drawbacks. Most notably, AGI eligibility is capped at $34,000, with an exception made up to $66,000 AGI for active-duty military filers. Functionality is limited, with no support for some common schedules, including Schedules A, C, D, E, and F. Customer support for anything but technical issues is more limited at this price point, either. And if you want to pay your tax prep fees with your federal refund, you must pay a hefty refund payment processing fee. The good news: TurboTax has several plans at multiple price points. If you feel like the free version is no longer suitable for your needs, it’s easy to upgrade to a paid plan at any time without losing any information. See our full TurboTax Review for a complete analysis. Though it’s not as well-known, FreeTaxUSA offers free federal tax filing for tax situations of all complexity levels. Known as Totally Free, it supports all major forms and schedules, as well as useful features like prior-year return importing and storage. If you’re filing with FreeTaxUSA through the Free File Alliance, you need to be age 61 or younger and have an AGI under $35,000 or be active-duty military. There’s no age restriction for free filers. FreeTaxUSA also offers free live support from customer service professionals, though its roster of tax professionals doesn’t measure up to bigger competitors like TurboTax and H&R Block. FreeTaxUSA is available to filers across the United States, though state returns are only free in about 20 states – otherwise, they’re $12.95 each. FreeTaxUSA has some noteworthy drawbacks, including a lack of audit assistance (which, with the Deluxe version, includes help interpreting IRS notices, drafting responses, and preparing the documents necessary to navigate your audit). It’s also not very mobile-friendly, making it a poor choice for filers utilizing tablets or smartphones. And the site has been plagued by functionality issues in the past, including a pattern of state returns not being submitted on time. See our FreeTaxUSA Review for more information. If your AGI is more than $66,000 and you don’t mind taking the DIY tax-filing route, you can still take advantage of an IRS-administered free electronic filing system. The IRS makes its entire database of tax forms and schedules available in PDF format at FreeFileFillableForms.com. To complete your tax return, fill out the appropriate forms through the online system and submit them through the IRS’s e-filing system. You’ll receive your refund (if eligible) on the same schedule as you would with a branded online tax preparation service. With Free File Fillable Forms, your work is automatically saved as you go, so you don’t need to fill out your entire return in one sitting. And regardless of how complex your tax situation is, you can find the forms and schedules necessary to complete your tax return here, subject to some limitations outlined by the IRS. There aren’t any income, age, citizenship status, or other eligibility restrictions for Free File Fillable Forms. Free File Fillable Forms might sound like the ultimate free filing option, but there’s a major catch: The IRS provides no support whatsoever for taxpayers who opt to use this resource. In other words, you have to know how to fill out each form and schedule on your own, or at least be confident enough to navigate the IRS’s library of tax preparation resources to find out how. If you have a straightforward tax situation and have prepared your taxes on your own in the past, this might not be an impossible bar to clear. If your situation is more complicated or you’re just not comfortable with the idea of preparing your tax return unaided, Free File Fillable Forms isn’t a great option. Even a seemingly trivial preparation error could lead the IRS to reject your return and ask you to re-file, delaying your return in the process. In the worse case, you could be flagged for an audit. And note that functionality is severely constrained here – you can’t import prior-year returns, for example. I don’t know many people who love filing their taxes, even if they’re reasonably confident that they’ll get a juicy refund. Filing taxes takes time and effort, and even the best software programs can’t totally protect you against mistakes. Filing for free can’t make up for the inconvenience, but at least it keeps more of your money where it belongs: in your wallet. Still, free filing options aren’t for everyone. If you have a complicated tax situation – particularly if you’re self-employed, own a business, or have investment income from multiple sources – it’s likely not worth the small upfront savings. A mistake could easily offset the money you saved on your return. And you might set yourself up for a stressful, potentially costly IRS audit. There’s no shame in opting for a paid plan or even hiring a certified public accountant who can provide hands-on attention. Have you used any of these free online tax preparation services? Which do you recommend? Share your thoughts in the comments section below.